The bibliophile residents of 2Hopkins apartments in Baltimore City have plenty of great places around to pick out their next read. There are few things as relaxing as kicking back with a good book and a cup of tea in a cozy chair on a lazy Sunday. Whether you’re reading for learning purposes or to temporarily escape to another world, there’s nothing like taking the time to lose yourself in a captivating read. 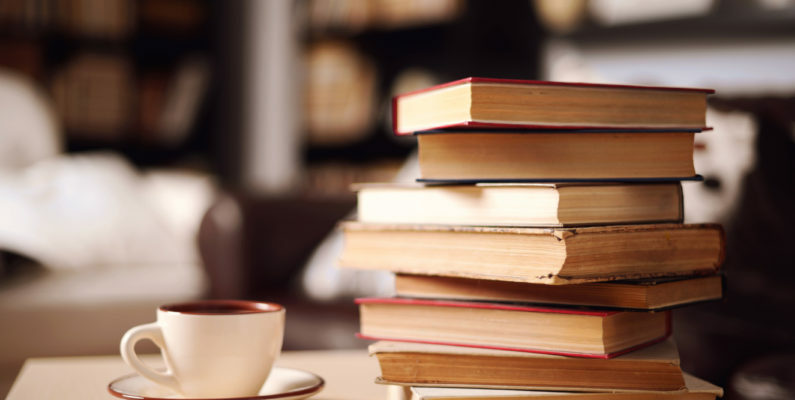 Our apartments in Baltimore City provide you with plenty of comfortable places to settle in with your chosen book – but first you’ve got to find the perfect read. Lucky for you, you happen to live in a city with plenty of unique locations to scout out your next favorite genre, author and format! For all of your mainstream reads, you’ve got access to Barnes & Noble at the Inner Harbor. If you’re looking for a more expansive array, The Book Escape in Federal Hill has used and rare titles for you to peruse. For some, the next best thing to a great book is a vinyl record. Head to Protean Books & Records in Otterbein or Normal’s Books & Records (a bit farther north) to enjoy both! Dive into their large collection of used records to listen to while you read. If visuals with your reading are more your speed, you’ll find a haven of comic books, graphic novels and more at Atomic Books in Hampden or Gorilla King Comics in Fells Point. Few things go together like a cozy café and a good book. You can read while you sip and savor at Red Emma’s Bookstore Coffeehouse, BAMF Café, both in Charles North, or Bird in Hand in Charles Village. After you’ve picked out the perfect book for your leisure time, dive into it in the comfort of our apartments in Baltimore City.